Looking for some quick and easy dinner recipe ideas for those busy weeknights? 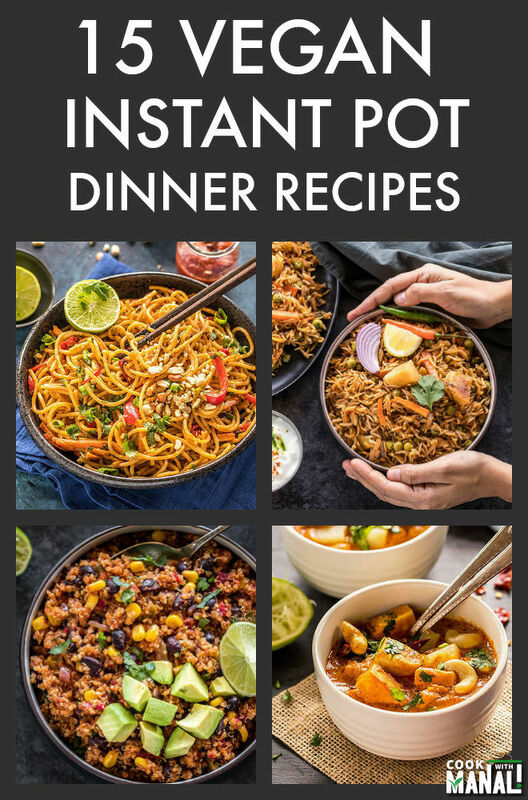 I got you covered with these 15 easy and delicious Instant Pot Vegan Dinner Ideas! 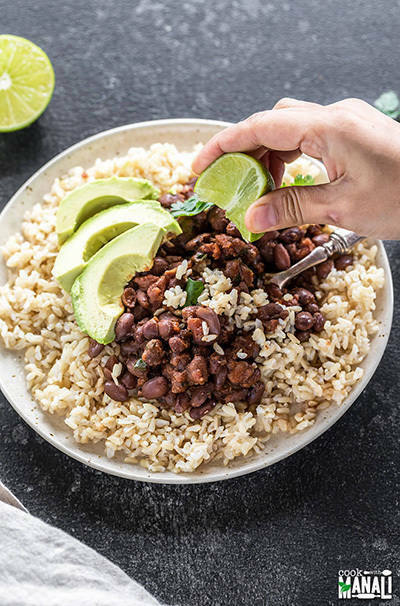 These hearty meals can be prepared rather quickly using your Instant Pot. These are packed with flavors and just the kind of meal you need for busy days. The leftover also make great lunches. I struggle with making dinner everyday. I know that sounds like such a paradox, since I am a food blogger and should have food in my refrigerator. The fact is that yes there is always food in my refrigerator but it might not always be dinner worthy. For example you won’t really eat ice cream or brownies for dinner right? Those days are hard and after a long day of clicking pictures, editing, cooking, cleaning (which I detest the most!) I am left with no energy to cook dinner. Well, enter my Instant Pot! It’s my best friend during those busy days. It usually takes me around 10 to 15 minutes to throw something in the Instant Pot and we have a warm dinner ready to devour. 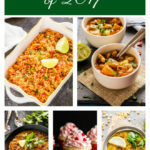 I am sharing with you guys today a round-up of my 15 favorite Instant Pot Vegan Recipes. These make great dinner or lunches and you would love the ease with which you can make these. There are curries, chili, fried rice, noodles and also recipes where you can make 2 things at the same time using the pot-in-pot method! 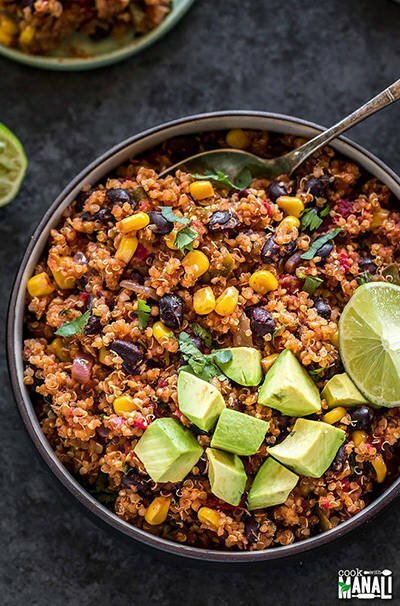 Quinoa with beans, corn, jalapeños and flavored with cumin, smoked paprika and chili powder. This dish is great for meal-prep and also to pack in lunches. Healthy and gets done in 30 minutes or less. 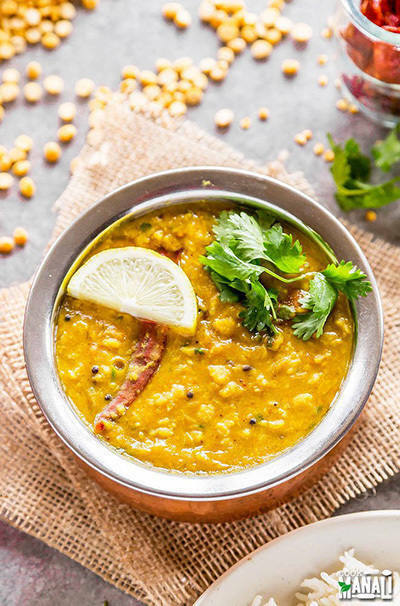 Dal was something I grew up eating every day of the year, no exceptions! 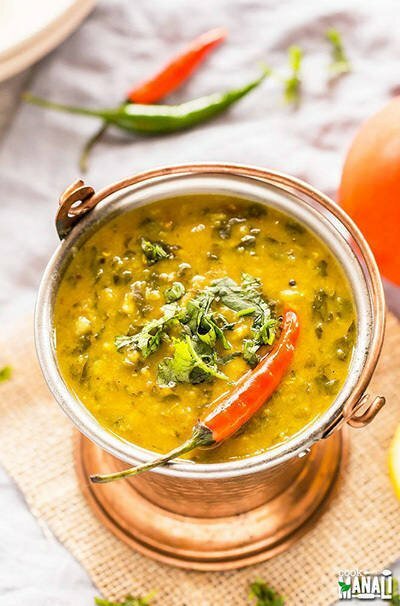 This spinach dal has added spinach to make it even more nutritious. Making biryani doesn’t always have to be complicated. 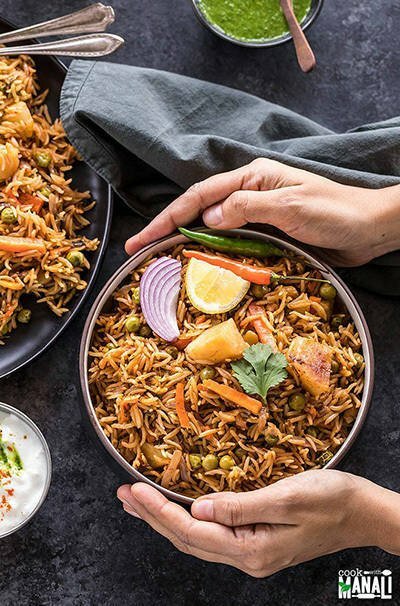 You can make a quick version using your Instant Pot when the biryani craving strikes! Basmati rice is cooked with fragrant spices and vegetables to make a complete meal. 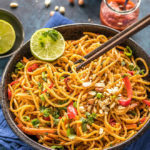 It is one of my most favorite recipes and you guys love this one too. 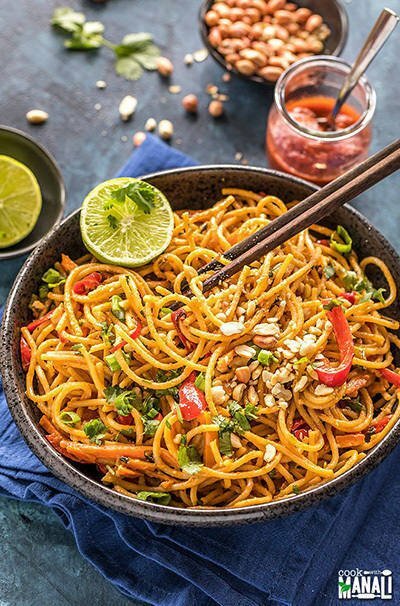 Spaghetti tossed in a creamy peanut sauce makes for a very flavorful meal. I love the fact that Instant Pot eliminates the extra-step of boiling the noodles. This recipe is not 100% vegan but simply swap honey with brown sugar or maple syrup to make it completely vegan. 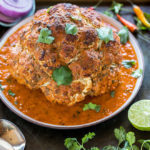 Making a flavorful korma was never this easy. 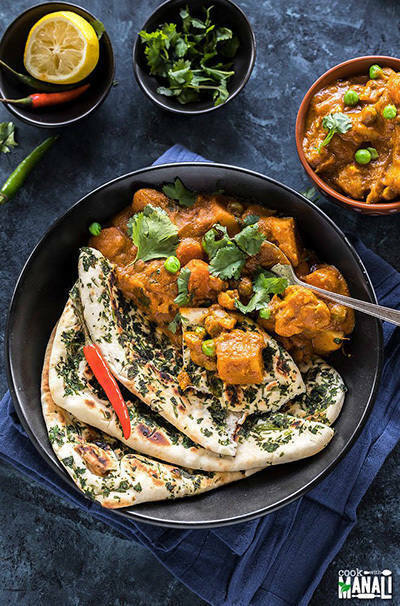 This vegetable korma is creamy, super flavorful and pairs so well with naan or rice. I love how all the veggies retain their texture in this curry. 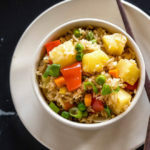 This is such a quick way to enjoy fried rice. The juicy pineapple bits are my favorite. Leftovers make great lunches! 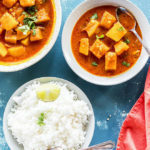 Make Thai pumpkin curry and jasmine rice- the complete meal in one go using the pot in pot method. So convenient and perfect for busy days! 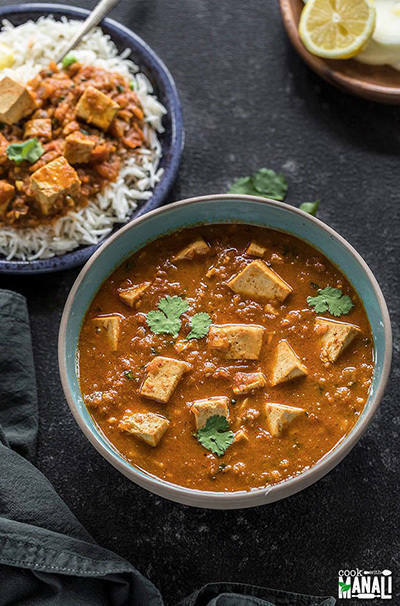 Spicy marinated cubes of tofu are tossed in a creamy curry. I love the ease of this Instant Pot version. My favorite way to eat this? With naan! If you have never had Ethiopian Lentil Stew aka misir wot then you are missing out? And the easiest way to make it? In your Instant Pot! 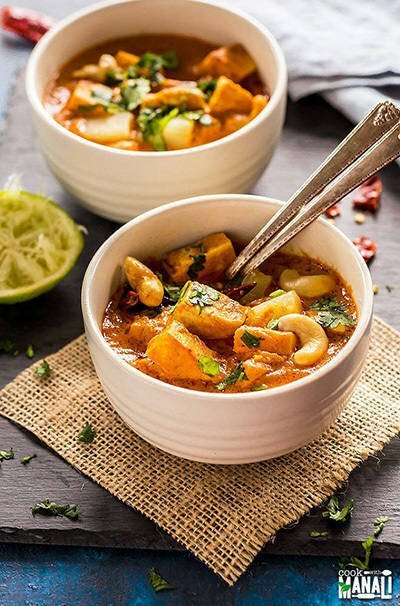 So many elements lead to explosion of flavors in this curry. 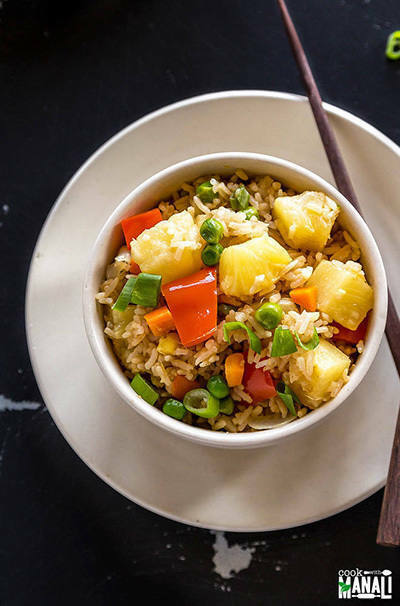 Serve it over brown rice for a warm meal. 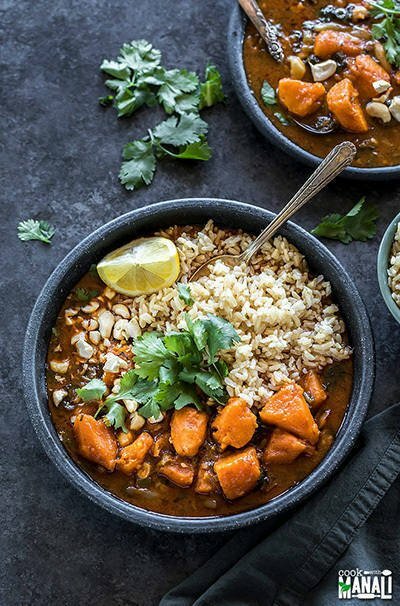 Healthy, nutritious and protein rich meal made in one using the pot-in-pot method in the Instant Pot. 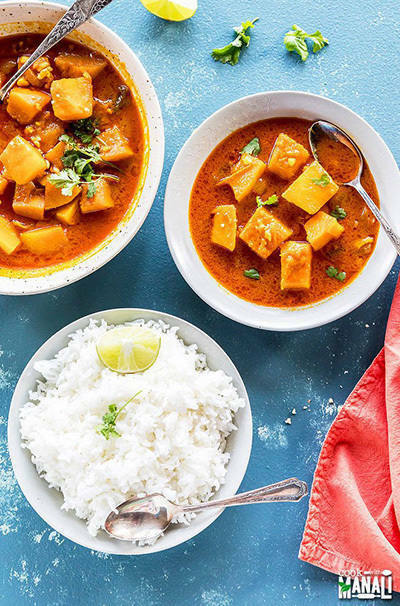 This sweet potato curry is packed with flavors with the addition of red curry paste, smoked paprika and garam masala. I love the roasted cashews on top. 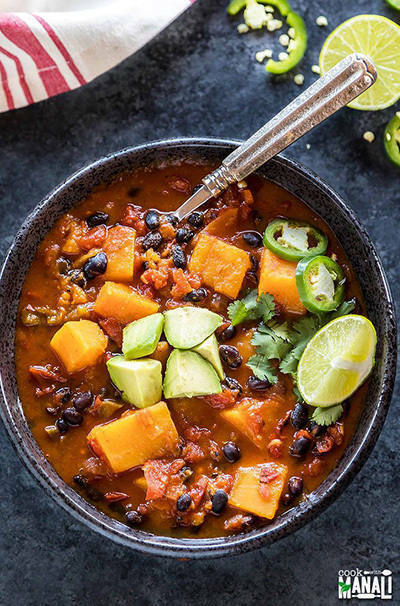 Hearty, flavorful, spicy – this chili is so good when you want something comforting and wholesome. I make it all the time when butternut squash is in season. 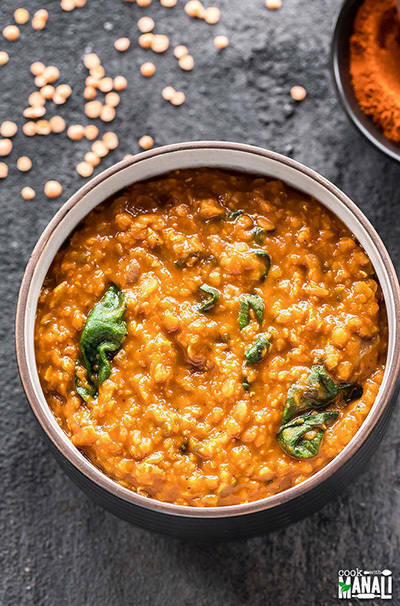 This comforting dal is really easy to make in the Instant Pot. I love to eat it with boiled rice. 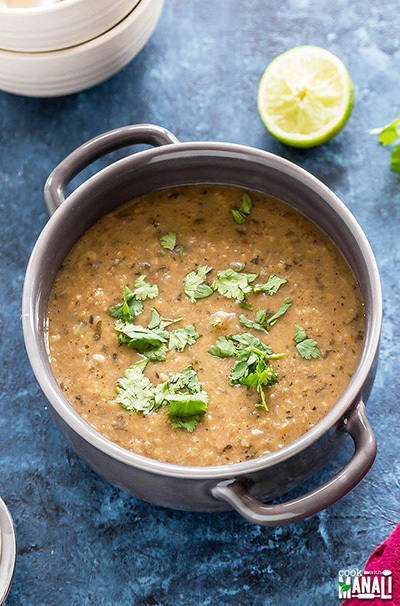 Lentil soup packed with tons of flavors and gets done in 30 minutes or less. I love to eat it with some pita bread on the side. 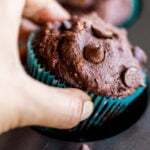 Hope these recipes inspire you to use your Instant more often and get creative with it. 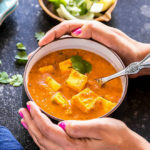 I would love to know which of these Instant Pot Vegan Recipes is your favorite? Happy Cooking! You are welcome Joanne 🙂 enjoy! 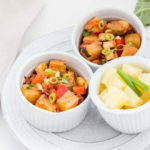 Thank you for some interesting, tasty vegetable dishes for the Instant Pot.